How Effective Are MADs as Snoring Aids? After spending 4 months trialing different anti-snoring devices, I found these 7 to be the very best in curbing snoring. If you've had a nasty experience with any of these devices, kindly drop me an email and let me know what was the issue you faced. 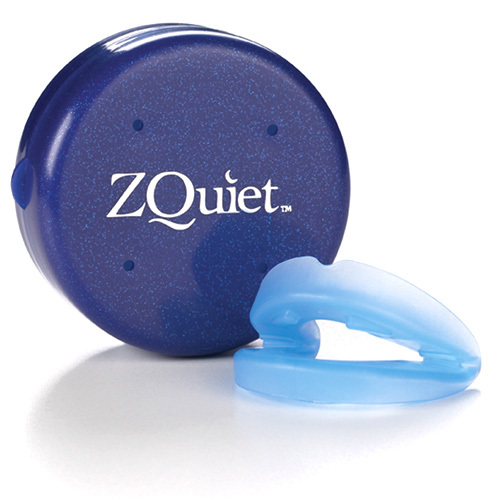 ZQuiet is a prefabricated mouthpiece which has been manufactured for use to treat and stop snoring. The mouthpiece is made from a thermoplastic elastomer designed for FDA compliance. The material used to make ZQuiet has passed rigorous consumer safety testing and does not contain latex or BPA (Bisphenol A). There are NO hard and uncomfortable acrylics used in its construction. The actual snoring noise is caused by tissue vibration in the back of the throat. The best way to stop this vibration is to naturally widen the airspace so the tissues are less impinged and therefore eliminate snoring. ZQuiet duplicates the exact same method used by dentists for over 25 years to cure their patients’ snoring issues. The company markets its product by saying it is engineered to work from the time you take it from the case saving the consumer the costly exercise of visiting a Dentist. Firstly close your mouth and let your normal bite come together. Now try and snore through the back of your throat and nasal passage. You will need to breath in and try to make the vibrations. It’s not too difficult to do with a bit of practice. Now try it again but before you do, push your jaw forward, keeping your mouth closed. Now try to make the same vibration [snoring] noise at the back of your throat and nasal passage. You should find that you are unable to do it, or it has significantly reduced in volume. These are the basics of snoring and this easy to follow example is a simple way to be able to demonstrate the mouthpieces principles and how its design makes it work. For many years I have completely disregarded testimonials on websites as being just another marketing ploy by the owner of the site. When assessing the credibility of products, you should certainly consider the significant number of named and pictured testimonials they have on their official web site. They even have some video testimonials. The explanation you are waiting for is this. The Federal Trade Commission penalizes companies very heavily these days if they place unsubstantiated testimonials in there advertising or on their websites. In the past just about everyone would include a good selection of testimonials on their sites. It was accepted by most of us that many of these testimonials were misleading at best. Thankfully the Federal Trade Commission are aware of this and it is why they impose these large penalties on companies who breach the condition. You can feel much more comfortable these days when businesses display testimonials on their website. I loved the Airsnore mouthpiece for two main reasons. Firstly, At 60 days, it has the longest money back guarantee among all anti snoring aids in the market today. Also, unlike most of the other snoring mouth guards, Airsnore does not require special molding to fit into your mouth. It is designed in such a way that it will mold itself inside of your mouth! Once a comfortable fit is achieved, Airsnore works to stop snoring by moving your jaw forward, allowing you to breathe more easily. 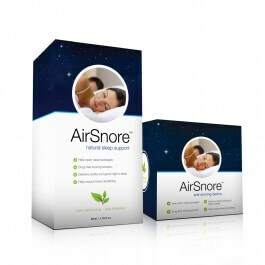 The Airsnore snoring aid is available at three different packages and price levels. The basic package includes only the mouthpiece and retails at $50 on the official Airsnore website. A more popular package retails at $90 and includes the mouthpiece, a storage container, and the Airsnore drops that are designed to ease your breathing if you’re suffering from a cold or cough. 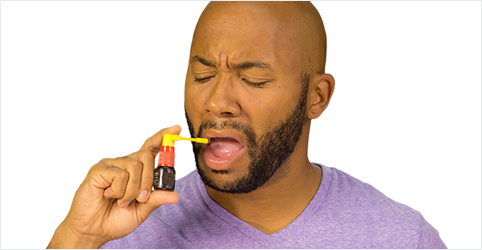 You can also choose to buy the Airsnore drops only, which cost $45. However, I highly recommend that you get the $90 package if you want to reap the full benefits of the AirSnore aid. The advantage of the prices for the various Airsnore offers is that they are a one-time purchase prices that do not include monthly recurring fees. Although they do not mention whether you need to replace the mouthpiece over time, most anti snoring mouth guards need to be replaced from time to time due to wear and tear. It is designed to fit almost anyone, it is comfortable to use and it won’t cause serious problems later on. Furthermore, GMSS is approved by a number of medical/health organizations such as the FDA, Australian Therapeutic Goods Administration, Health Canada and the European commission as a safe remedy for snoring as well as mild to moderate sleep apnea. SnoreRx features an Adjusting mechanism that enables you to get a fit that is perfect for you. A Calibrator that allows you to know exactly which measurement suits you hence saving you time to adjust it all over again the next time. And a Posi lock. With some mouthpieces, it is difficult to keep the device at the precise measurement that fits you. With posi lock, this problem is solved since once you have adjusted to your desired measurement, you can lock and unlock it at will hence the mouthpiece remains in its place the whole night. Snoring occurs as a result of the vibration of the soft palate in the neck region. The vibration is caused due to of the narrowing of the airways, and because of that, the air passages are blocked, resulting in sound during breathing. In some cases, the sound produced because of snoring will be unpleasant and will disturb the sleep of the person who is sleeping next to you. If you continuously snore, you need to find an anti snoring solution as soon as possible. Otherwise, snoring might pave the way to obstructive sleep apnea, a serious sleeping disorder that could lead to death if not treated. A variety of sprays are available for us to choose from. Most of these sprays stop snoring by targeting the main cause of snoring; the throat! Some sprays are oral sprays, others are nasal sprays while others can be used either as oral or as nasal sprays. The most common throat sprays for snoring include; nytol, rhynil, doctor snore and snore zip. Doctor Snore Anti-Snoring Oray Spray contains a unique blend of oils which have been clinically tested and found safe and effective for reducing snoring. The snoring spray works by lubricating the throat tissues which reduce their vibration hence preventing you from snoring. A few recent clinical studies suggest that lubrication of the back of throat (where snores are formed) reduces snoring. Nytol Snore Spray is a scientifically proven spray that combats the main source of snoring (throat). Nytol contains active ingredients key among them being phosphatidylcholine (only doctors can pronounce it right!). These ingredients coats the throat muscles preventing them from moving and vibrating. It also has foam properties which ensures the spray remains in place through the night. They (ingredients) also serve as lubricants hence giving you a snore free sleep. 3 sprays/squirts are sufficient to last you through the night. Rhynil anti-snoring nose and throat spray is made entirely from a natural herb (eye bright) and can be applied to both the nose and roof of the mouth. Its astringent properties makes it applicable as a remedy for snoring caused by palatal flutter, a kind of snoring that is caused by the vibration of the soft palate which produces a low frequency flutter. Apart from snoring, Rhynil can also be used to counter sinuses and allergic rhinitis. This is due to its antiseptic and anti-inflammatory properties respectively. Snore Zip is an oral anti-snoring spray with a minty toothpaste-like taste. While similar products fight snoring by targeting the throat, Snore Zip works a bit different; it breaks down mucus. Mucus, though not a main cause also contributes to snoring as it blocks the airways. For this reason, Snore Zip will only work for you if you have a cold or sinuses complications as these increase mucus production. If your snoring is caused by any other reason, then this is not a solution for you. Your sleeping position could be the reason why you snore. Anti-snoring pillows reduce snoring by regulating your sleeping position. The pillows are made of memory foam and are designed to elevate and align your head to open your airways consequently preventing you from snoring. The hypoallergenic foam that is used to manufacture anti snoring pillows makes them suitable even for snorers with allergies. Most pillows are standard sized and can hence fit into your pillow cases. There are several pillows in the market today. But how do you know which one is the best for you? Well, I have done the hard work for you. In this section, I am going to review the anti snoring pillows that I have personally tried. Anti snore pillows are one of the most natural and effective ways to reduce snoring. But finding one that actually works can be an uphill task. The best I have found, one that actually does what it promises, is the Nopap Positional Body Pillow. The pillow is 100% handmade and hypoallergenic. If you are serious about wanting to sleep better tonight, try the Nopap antisnore pillow. The Snore No More Pillow is designed by Science of Sleep. While it is clearly not among the best snoring aids that work, its low price makes for a good starter pillow. It keeps the chin off the chest, which helps in keeping the airways open throughout your sleep. Furthermore, the pillow realigns your head to help you achieve a better sleeping position. A better sleeping position equals a satisfactory snore-free sleep. Like most new things you try, the pillow is uncomfortable the first few nights but this changes in a few nights and you may even find yourself unable to sleep without it. The pillow is subject to the law of wear and tear and you will therefore have to replace it every 4-6 months. Its price is affordable and it can be bought online or in stores. This is a contoured anti-snoring pillow designed to offer support for back and side sleepers. The pillow is made of high density hypoallergenic memory foam which is 100% polyester (non-tex). For supine sleepers, the pillow comes with a neck bolster for extra support. To the side sleepers, the pillow cradles your neck which ensures your airway remains open through the night. By so doing, you breathing is kept normal and you sleep snore free through the night. This pillow is unique as it contains natural green tea and other plant based ingredients to fight odors. The Brookstone anti-snore pillow allows you to sleep in your natural position. Unlike other similar pillows, this one allows you to adjust it by removing any of the 3 support pads that are contained within a removable washable cover. The anti-snore has been clinically tested and proven to be an effective snoring solution. It will work whether you prefer sleeping on your back or on your side. Mandibular Advancement Devices (MADs) are among the most popular anti snoring devices available in the market today. This type of snoring mouthpiece will work by moving the lower jaw forward and keeping it in this position throughout the night. As such, the airway at the back of the throat remains open hence snoring is reduced significantly or stopped completely. In 2005, a study was done to gauge the effectiveness of snoring mouthpieces. The study polled 20 heavy snorers to establish the efficacy of MAD snoring mouthpieces. Scientists found that the mouthpieces were were-tolerated by 65% of the polled snorers. They (the anti snoring mouthpieces) also worked incredibly well to prevent snoring, and in some cases, they were observed to be an effective cure for obstructive sleep apnea. ​Some people find it difficult to sleep with MAD the first few nights. Upon waking up, you experience soreness and fatigue of the jaws. However, this is normal and expected. It is also important that you check what material has been used to manufacture the mouthpiece for snoring. Most of the snoring aids will be made from medically approved materials such as copolymer. Unlike Tongue Restraining Devices which come ready to use, a little more effort is required in the fitting of MADs. Some people even find it too challenging for them and they end up at their dentist’s. Zquiet is touted as the ultimate anti-snoring cure. After trying it for a few weeks, I can confidently vouch for it. It does exactly what it promises. Zyypah is a chic anti snoring mouthpiece that works as efficiently as it looks. I have personally reviewed Zyppah for over 2 weeks. I'd rate among the very best MADs. The Pure Sleep company has tried to come up with a moderately priced item that packs a lot of value. FDA-approved, the Pure Stop Snoring Device uses two types of plastic materials that are 100% BPA and Latex-free. VitalSleep is made of a flexible frame which ensures that you are comfortable throughout the night. Furthermore, it is made of a BPA and latex free material hence expect no allergic reactions. It also comes with a micro-adjustable mechanism which allows you to adjust it hence ensuring that perfect fit. Vital sleep also has a large opening which allows for improved airflow. With improved airflow, your breathing remains normal throughout the night hence no snoring. As a ‘bonus’, Vital sleep has a non-intrusive tongue stabilizer. 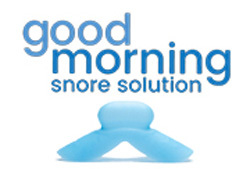 The SnoreMeds Anti snoring device has been in the market for over 8 years now! I have personally tried it and can testify that it is an effective way to stop snoring. Compared to other snoring mouthpieces, it is cheaper but as effective. It comes in two sizes; for men and for women. It is made of thermoplastic which is approved by the FDA. Also known as Tongue Retaining Devices, tongue restraining devices are snoring aids that prevent snoring by keeping your tongue in the right position and preventing it from falling into your throat. During sleep, the tongue and other muscles are generally relaxed. In this relaxed state, the tongue draws back causing a blockage in the airway which results to snoring. TSDs stop snoring by gently pulling the tongue forward hence opening up the airway. Good Morning Snore Solution has a working mechanism that is similar to other TSDs; it pulls the tongue forward to ensure the airway remains open. GMSS has been clinically proven to be effective by Calgary dental researcher, Dr. Leslie Dort. Nose Breath Tongue Positioner is a revolutionary anti snoring device that prevents snoring by holding the tongue at the roof of the mouth. When the tongue is gently held at the roof of your mouth, it stops the tongue from falling back into the throat, and ultimately prevents snoring. How effective are tongue retaining devices? Clinical studies have shown that tongue retaining devices help reduce/prevent snoring. TSDs have also been used as treatment for mild obstructive sleep apnea (OSA). Yes, TSD are among the very comfortable snoring aids even to people with dentures. Furthermore, you don’t need to bite down on them to keep them in place. The material that makes them (medical grade silicon) doesn’t cause irritation to the gums, tongue or teeth. To add to this, they cause minimal or no soreness at all to the jaw or mouth. TSDs also give you the freedom to move around in your bed unlike other snoring aids which necessitates you to remain in a fixed position the entire night? How do I know it is the right size? All TSDs are universal fit mouthpieces. This means that it fits everybody and unlike MAD, there is no need to boil and bite. Anti Snoring Chin Straps are relatively easy to use since you simply fit it around your face and head such that it acts like a sling. How do they reduce snoring? Snorers can be classified into two types; Mouth snorers and nose snorers. Chin straps stop snoring for the former i.e. mouth snorers. When you sleep, your muscles (tongue and throat included) as well as jaw tend to relax. This causes your chin to drop down which in turn opens your mouth causing you to snore. In addition, in this relaxed state your tongue falls back to your throat blocking your airway which also contributes to snoring. The snoring chin straps keep your mouth closed as well as maintaining your jaw in the right position. This prevents your tongue from blocking the airway hence you sleep snore-free through the night. A study conducted by the American Academy of Sleep Medicine concluded that a chin strap alone is not enough for treating OSA or improving snoring. You will have to try one for yourself in order to know. This is because some people find it too tight and uncomfortable to sleep in while others find it comfortable. Some chin straps are adjustable which makes it possible for you to fit them according to your liking. Are Chin Straps ideal for everyone? No. Chin straps are not suitable for everyone particular those with blocked noses. This is because if you have a blocked nose you will need to breathe through the mouth to compensate for the air shortage. Something you can’t do with a chin strap. Using a chin strap with a blocked nose could lead to serious complications since the body is deprived of oxygen. Temporomandibular Joint Disorder (TMJ) is a disorder of the temporomandibular joint that causes complications such as ear pain, bite problems, headaches, dizziness, clicking sounds in the jaw, tinnitus and/or locked jaws. Since the straps work by keeping the jaw in place, it is advisable to keep away from them if you suffer from TMJ as this could worsen the condition. There are many chin straps manufacturers. They include: Happy Sleep, Neoprene and Avlon. Avlon have produced a variety of chin straps such as ruby, super deluxe and premium chin straps. Nasal snoring aids are snoring aids that are meant for nose snorers. They are very affordable with almost all retailing under $30. These are plastic or rubber devices that fit into each nostril keeping them open through the night. To know this, let’s conduct a simple experiment. While looking in the mirror with your mouth closed, use your finger to plug one of your nostrils and then breath in deeply. You will observe that the open nostril closes up by itself due to the in breath force. When you sleep with one or both nostrils blocked you encounter difficulty in breathing which results to snoring. Nasal dilators keep both nostrils open hence guaranteeing you a snore-free sleep. A study on the efficacy of nasal dilators was conducted by Sahlgrenska Hospital and University of Goteborg, Sweden. The study concluded that the nasal dilators substantially decreased the snoring noise. Snore Pin is made of anti-allergic polyurethane. It is also latex free, hence does not attract dust. It comprises of 2 cone-like dilators connected by a clip. The dilators have slits which allow the nasal hair to go through making sure they still filter the air. The material from which it is made is hard hence it may be uncomfortable the first nights but you get used to it over time. Unlike Snore Pin, Nasivent is made of 100% medical grade silicon making it softer and more comfortable. Nasivent comes in 4 different sizes which makes it possible to choose a size that fits you best. Like other nasal anti snoring devices, Breath Relief prevents snoring by keeping the nostril open. It is comfortable even for people with deviated septum. Breathing relief can also be used by athletes since it can stay in place. The open nostrils improves the athlete’s performance. Nasal strips/nose strips are small reinforced adhesive strips that fit over the nose and allow your nostrils to remain open during sleep. They facilitates smooth breathing which results to a snore-free night. They are suitable for simple nose and mouth snorers. Nasal strips work for some people and fail to work for others. Manufacturer’s peg the success rate at 70-80%. But the only way to really know if they will work on you is to test one. If you are feeling experimental, ​we recommend you check out Breath Right Nasal Strips, which are the #1 Bestseller nasal strips on Amazon. There are many nasal strips available in the market with the most popular being Breathe Right Nasal Strips. Check out the recommended other nasal strip anti snoring aids in the table below. Theravent is an anti-snoring aid in the form of an adhesive strip that fits comfortably over your nostrils. It employs micro valve technology which creates expiratory positive airway pressure (EPAP). Theravent uses your own breath to combat the primary cause of snoring (throat vibration). It achieves this by opening up the throat way. It is available in 3 patented strengths; for light, moderate and heavy snorers. Anti snoring rings are perhaps the lesser known snoring solutions. Ironically, the principle they make use of has been around for 4000 years! They make use of an ancient Chinese medicine known as tuina. Tuina is a form of acupressure reflexology. Reflexology is the practice of using different pressure points (acupoints/meridians) in the hands or feet to provide relief. In most cases, the meridian is nowhere near the actual place of the problem which explains why the rings are worn on the little finger. All rings are similar in shape and design. They all have an opening on one end which facilitates for easy wearing. They also have a small bulging metal piece on the inside which provides pressure on the meridian point. To use, simply insert to the very base of the little finger about an hour before sleep. It is advised not to have it on for more than 12 hours. The rings are said to have a success rate of 85%. Some people experience notable changes on the first night while many more note similar changes after about a week. To some, the rings stop snoring completely while to others, they reduce the snoring significantly. Which snoring rings are available in the market? As with other snoring aids, the rings too come in varieties. The most popular ones are: AntiSnor, Silent Knight Ring and Snore Band. Sleep Apnea is a more serious case of snoring, and is therefore treated differently than regular snoring. Anti-snoring machines are the most effective treatment of sleep apnea. The machines can also be used as a last resort for people who have tried all other known snoring devices but with little or no success. Unlike other anti-snoring devices, you need a supporting letter from your doctor in order to acquire an anti-snoring machine. There are 3 types of snoring machines in the market today: CPAP, BiPAP/BPAP/APAP. They deliver pressurized air, which is kept at a constant pressure, to your throat which prevents it from collapsing. As a result, you are able to breathe normally and snore-free through the night. How is the pressure determined? Upon going to your doctor, he/she carries a test known as titration study. With the results from the test, he/she is able to set the CPAP machine at a pressure suitable for you. Furthermore, he/she sets the machine to deliver this exact pressure continuously. Mask. It goes around your head with the breathing apparatus situated around your nose. When choosing your mask, make sure it fits well and is comfortable too. Humidifier. It can be attached and detached or switched on or off depending on the machine’s manufacturer. It is used to make the cool and dry air you inhale warm and moist which makes breathing more comfortable. Altitude adjuster. In some machines, it is automatic while in others it is manual. Pressure changes with change in altitude hence the adjuster ensures that the machine operates at the recommended pressure regardless of your geographical location. Mask on/off alert. Some of us, myself included, find it almost impossible to maintain the same position on our beds all night long. Tossing and turning may take off the mask hence an alert is fitted to let you know if this should happen. The alert is often a beep or a light. Ramp. This facilitates for the gradual increase in pressure from when you turn on the machine till your recommended pressure is attained. It is important that the pressure is increased gradually so that you have time to adjust accordingly. The ramp time is usually 0-45 minutes. Heated tubing. This is a recent advancement and only a few manufactures such as Res Meds have it installed in their machines. It is a heating element inserted in the tubing to keep the air temperature constant. This prevents condensation. Leak compensation. Occasionally, the mask may leak out air which affect the pressure. This feature increases airflow to the mask when a leakage is detected. In so doing, the pressure is maintained at the recommended pressure. Voltage selection. Enables switching from US voltage to international voltage. It maybe manual or automatic. Data recording. Most machines come equipped with data recording capabilities such as a sim card. Some record simple data such as how long the machine has been on while others record more complex readings such as apnea events, hypopnea events, change in pressure, leakage rates among others. Portability. Smaller versions are available which makes it possible to use them whenever and wherever. Before arriving to a decision, you need to put into consideration several factors. Your cause of snoring. As we have seen, different people snore for different reasons. It is therefore wise to first identify what causes you to snore. For instance, if the reason for your snoring is due to your sleeping position then a snoring pillow is most effective for you. What kind of snorer you are. There are two types of snorers, mouth snorers and nose snorers. Some aids such as chin straps and nasal sprays are snorer specific hence they will only work for a specific type of snorers. The severity of your snoring. Snoring could be simply just that, snoring or an indicator of a more serious condition (OSA). With this in mind, you should know the severity of you snoring first before you acquire any aid. For instance, if you do not suffer from sleep apnea, it would be a waste of money to acquire a machine. The effectiveness of the snoring aid. Some snoring aids are known to be more effective than others. They should therefore be at the top of your list. Lifespan of the aid. Consider buying an aid that has a longer lifespan as opposed to one with a shorter lifespan provided that they both serve the same purpose. A good example would be mouthpieces. Some have lifespans that are twice as long as others. By choosing such, you will save on money as they don’t need regular replacements. Comfort. Seeing that snoring aids are used during sleep, it is important that you choose one that Is most comfortable so that you don’t wake up feeling fatigued. Cost. Choose a snoring aid that is reasonably priced. Also, make sure its price is within your range. Compatibility with other devices. This applies for people with other dental devices such as retainers or dentures. Some aids are compatible with such devices while others are not. It is important that you choose compatible anti snoring devices so as to avoid inflicting pain on yourself. Your medical history. If you have a case of TMJ, you should consider an aid that will not only stop your snoring but one that will not worsen your condition. Your doctor’s advice. As much as most snoring aids do not need a prescription, you could consider talking with your doctor to hear which aids he/she recommends. After all, doctors know best, right? The material that makes the snoring aids. This is applicable to those with allergies. Make sure you are not allergic to the material making the aid.